* Proficiency in teaching in Hindi and English medium. * Knowledge of Computer Applications is desirable for all the teaching posts. * Written test may be conducted, if necessary. * Separate applications may be submitted for different posts. * CTET Not Qualified candidates can appear in interview for the post of TGTs and PRTs. They can be preferred for selection in the absence of CTET qualified candidates. * Checking of interview’s dates from the Vidyalaya website is the responsibility of the candidate. No information should be given individually to the candidate by the Vidyalaya. 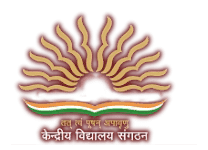 Counsellor Vacancies – Last Date 10 February 2019 (Gurdaspur, Punjab), Kendriya Vidyalaya Shikar, Dera Baba Nanak (KV Shikar-DBN) recruits Counsellor Post. Candidate with BA / BSc, Diploma can apply.